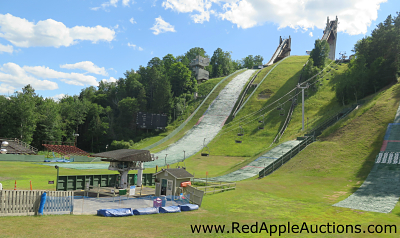 One of my clients in the Adirondacks booked a new venue at the base of the Lake Placid Olympic Ski Jumping Complex. 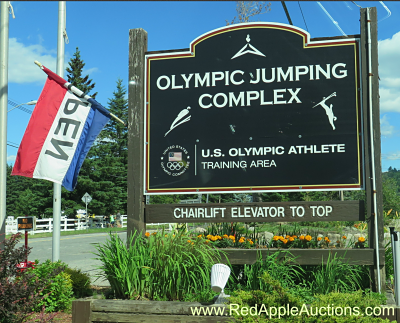 The complex was built for the 1980 Olympic Games and now serves as a training complex for Nordic ski and freestyle aerial jumping. It wasn’t enough to have this impressive facility serve as a backdrop. The Executive Director of the foundation took the extra step of having Olympic-hopefuls demonstrate their talent for the benefit of the gala attendees. 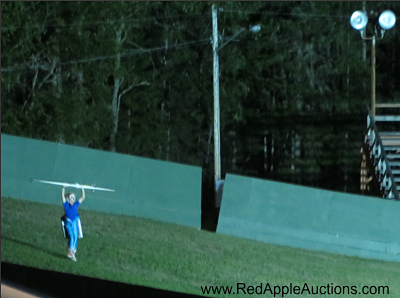 During the silent auction, freestyle aerialists flew through the air in graceful spins to land in a swimming pool. And after the dinner program, guests headed back outside to watch young athletes shoot down the long Nordic ski jump. This unique auction venue was great in that regard. Who wouldn’t want to have something so special as their gala entertainment? But the venue was tricky in other ways. For instance, guests registered downstairs, then headed upstairs for the reception. They split time between an outdoor deck and the indoor silent auction. We then moved everyone downstairs for the dinner, back upstairs for the final ski demonstration, and downstairs (again) for auction checkout. And the ballroom itself was divided into two distinct spaces. About 1/3 of the guests sat inside, while 2/3 of the guests sat outside under an adjoining tent. An IMAG with video screens projected what was happening inside to those seated outside, but it wasn’t ideal. Those of you who work in similar venues can attest to the difficulty of ensuring everyone feels a part of the action. For the live auction, I circled inside and outside to engage bidders. Below is a video that shows some elements of the evening. Take a peek and see if it inspires you in any way. My journey to this client is a bit more involved than most of my destinations. It involves a plane, rental car, and a ferry over Lake Champlain. Here’s a 60-second video documenting some of my views as I traveled north. Have you selected an auction venue in order to use specific entertainment? Where was it, and what did you do? I think “hotel silent auctions” are scammy — what do you think?